Rhys lives and games in Portland, Oregon. His experience with RPGs, MMOs, GPUs and lots of other PC related acronyms informs and inspires his writing. The right gaming microphone can mean the difference between hitting top 500 in Overwatch or your teammates hitting mute. It can mean the difference between your Twitch viewers clicking “Subscribe” or clicking on to the next streamer. If you’re ready to take your vocal quality seriously; if you’re ready to enhance your gaming experience or maybe build-up a YouTube channel, then you need to make sure you're heard loud and clear. Read on to find out which products made our list of the best gaming mics of 2019 and scroll down towards the end to find our buyer’s guide if you need a little help picking the one that’s right for you. Finding a mic that works for all gamers is tough, and the Turtle Beach Stream Mic is one of the first to do so. However you will sacrifice a bit of quality for its unique flexibility. The Turtle Beach Stream Mic is a product that will work easily for all gamers, at a price that most gamers can afford, with performance that most gamers will be satisfied with. All of the mics in this guide can be used with both consoles and PCs, but it might require an adapter or two depending on what you want to connect to what, and functionality is not guaranteed. This is not the case with the Turtle Beach Stream Mic. One of the first of its kind, this product is ready to connect to PCs or Consoles using a single USB cable right out of the box-- which is why it fits the bill for best gaming mic overall. The Stream Mic connects via a long USB cable to its back panel. Also on this panel is a headphone output jack, a headphone volume knob, and a switch for alternating between Xbox or PS4/PC modes. The mic itself does a lot of the sound processing work one might do on a PC by employing something called Digital Signal Processing-- meaning that the mic itself is “polishing” the sound as it digitizes it. The added DSP is another feature that makes the Stream Mic more user-friend at the cost of some user-control over the sound. The recording quality of the Stream Mic is below that of other products at the same price point, but it’s still decent. The multiple pick up patterns are a great feature to help achieve an ideal sound, but some reviewers described the quality as being more tinny and thin than other condensers. If you know you just want to game on PC, that’s great. The process of selecting a mic will be that much simpler. But what if you want to game on PC, and you’re also thinking about starting a Twitch channel, and that new PS4 exclusive looks really fun, and you might want to record audio on your friends Xbox…and so on. The buying process, the connectivity, the setup, and the portability gets a lot more complicated. That's where the Stream Mic comes in. You’ll get all these features for a relatively low price (really low when it’s on sale), but you’ll sacrifice a bit of audio quality. All three of these adapter mics are particularly great for console users who don’t have a computer nearby. If you’re a console player just looking to upgrade your mic, and don’t want anything to do with a PC for editing or streaming, then the mics above will work well thanks to their 3.5mm output. With a headphone/mic Y-splitter you can get them working with the 3.5mm input on your controller. We cannot guarantee USB compatibility with Xbox and PS4 for all the products on this list because the manufacturers have not clearly stated/designed their products with the console’s drivers in mind-- except in the case of the Turtle Beach Stream Mic. 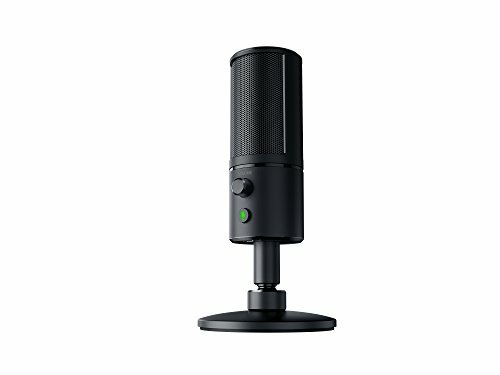 The Stream Mic is the first (and only right now) dedicated USB microphone for Xbox One. For whatever reason, Microsoft does not support the drivers required for other USB microphones. However, most USB microphones seem to work just fine with PS4! Scroll down past our buyer’s guide to find out more info on USB connectivity, and how to hook up your dedicated mic to your XB1 or PS4 controller-- even if it’s USB! With the Modmic 5 and your favorite pair of headphones you can create your own ultimate gaming headset. 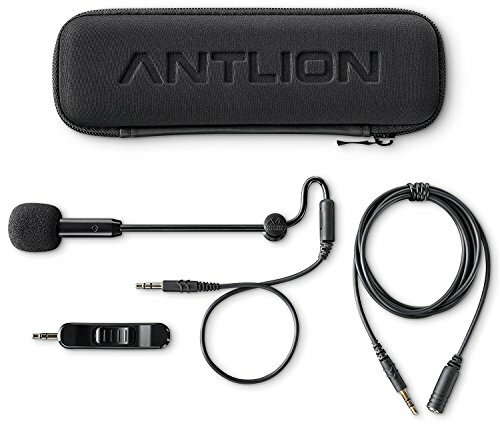 If you own high quality headphones now, or are considering some in the future, the Antlion Modmic 5 is an excellent choice for professional quality voice recording. This mic is priced a bit higher than most headset adapter or clip-on mics, but its excellent performance and sleek design are worth it if it's in your budget. The Modmic 5 comes with a magnetic clasp that you adhere to one of the earcups on your headphones. After that, the boom mic can be easily attached, detached, or positioned it a way that’s most comfortable for you. The Modmic’s long cable can then be routed along your headphone cable to your PC or console, and muted via the included in-line controller. The Modmic 5 provides excellent sound quality-- especially for its price! And the positioning of the mic near your mouth allows gamers best-of-both-worlds functionality: you get the clarity and nuance of a condenser mic, but because it’s close to your mouth, you don’t have the problem of background noise like a dynamic microphone. The mic features 2 different polar patterns, however because of its proximity to your face, it's hard to imagine the omni-directional option being of much use. Despite not connecting via USB, it is of course still possible to record sound to a PC via the 3.5mm port, or to use this mic while streaming. However, keep in mind that the quality of the recording is also dependent on the quality of your 3.5mm jack, and most motherboards often overlook this feature. So upgrading your sound card, or recording via a DAC or audio interface could be worthwhile if you really want to take your voice recording seriously. An excellent budget option, this mic offers incredible performance for its low price-- the only problem is working out how to get it close to your mouth. This product offers some of the best performance for price of any of the mics in this guide. If you’re looking to upgrade the quality of your headset mic, and don’t need quite the recording options required for streaming or podcasting, then this product would be a great choice. The only major drawback can be some difficulty positioning it close to your mouth. This mini lapel mic features a 3.5mm output on one end, and a foam windscreen covered omnidirectional mic on the other. By the mic is a removable clothespin-like clip to attach to your “lapel”, or even closer to your mouth if you can rig a way to do so. One PUBG player in the reviews described how he came up with a way to attach this mic to his headphones (much like the Modmic reviewed above) by using a whole lot of electrical tape. It’s not the prettiest solution, but it works. 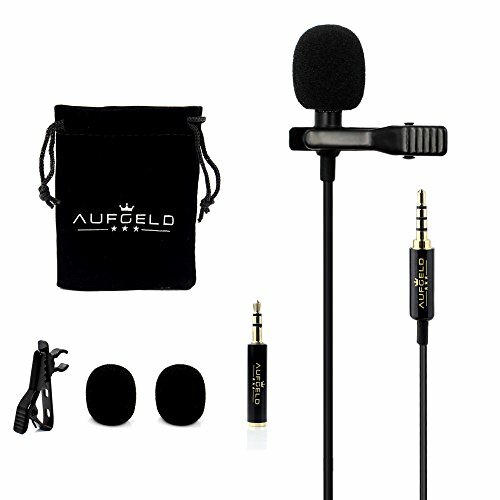 The Aufgeld Mini Lavalier lapel mic features crisp, clear sound quality, and despite being omni-directional, only picks up sound within a short radius-- so it’s a great option for noisy environments. If you are looking for a budget option that won’t sacrifice vocal quality, then this is the way to go. Just plan ahead for how you’re going to make best use of that lapel clip. If you have nice headphones with a 3.5mm input jack, pairing them up with this mic could be an amazing combination for the price. Only one polar pattern (undefined), but that should be all you need with how close it is to your mouth. It would be easier to more broadly recommend this mic if 3.5mm input jacks were more common in headphones. This is a feature that is usually found in more expensive products like Beats, Hesh 2 by Skullcandy, or professional studio monitor headphones. If your gear supports it, the V-Moda BoomPro is a cheap and easy option to add high quality voice recording in a sleek package. As we’ve mentioned before, a headset mic close to your mouth helps to avoid many of the hassles that can come with dedicated mics. A lot of background noise? These mics are close to your mouth and have small acoustic diaphragms, so you can turn down their gain and still be heard clearly. The V-Moda’s facial proximity and the ability to attach to your headphones means you can also avoid buying expensive accessories like a boom stand or a pop-filter to improve your sound. If your headphones can handle this microphone then definitely consider giving it a try. Just remember to keep in mind, as with any 3.5mm output product, that the quality of the mic will be depended on the quality of your 3.5mm jack. The Snowball iCE does a lot of what the popular Yeti mic can do for a lot less; allowing you to spend money on the other things you might need to optimize the sound of a condenser mic. Most USB condenser mics with this level of recording quality start around $100; so the Snowball iCE, which usually hovers around $50, is a fantastic deal. Being a condenser mic, this iCE is a sensitive mic that can pick up both the warmth of the human voice, as well as the sound of a door creaking two rooms away. This can be a problem when gaming, especially when the blue switches on your mechanical keyboard sound like gunfire. When gaming with a condenser mic, the desktop stands that most of them ship with are not going to suffice. You’re likely going to need to invest in a boom stand, pop-filter, and headphones to bring the mic closer to your face and to avoid using your speakers. With the Snowball iCE you can get condenser recording performance that rivals products 2-3 times its price by sacrificing a few features. Solid performance? Check. Attractive design? Check. Slightly inflated price tag? Also check. The Seiren X is a classic Razer product: it’s well made and does what it’s supposed to, and it also has a logo and aesthetics that your paying extra for. The Seiren X’s sound quality is slightly better, and at a higher resolution than the Snowball iCE, and you do get a ton more features for the added price. Many of these features, like the zero latency monitoring and the mute button are even more valuable than you might realize. There is only one pick-up pattern, but it’s supercardioid, which would be perfect for one person vocal recording. One really great feature of the Seiren X is its desktop mount with build-in shock absorption. You’ll probably still want to invest in a boom stand to avoid the gaming desk all together, but this system could offer a bit of a buffer between your voice and the gaming-related background noise around you. This built-in shock mount is also great for on-the-go recording; like at a friends house or a gaming convention. 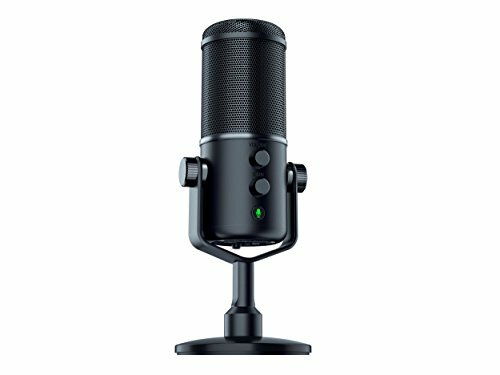 The Yeti is definitely the reigning king of recommended mics… but is it one to recommend to a gamer? Frequency Response- 20Hz - 20,000Hz. No microphone buyer’s guide is complete, it seems, without this bad boy on it. That’s not because of good advertising either, it’s a fact that the Blue Yeti delivers a lot of performance for a reasonable price. The only reason it didn't make our overall best pick (like it does so often on other guides) is because we weren't sure if many of the features that make the Yeti so great are really features most gamers need. The Yeti’s recording quality can be had for cheaper elsewhere. The microphones versatility is its biggest selling point. 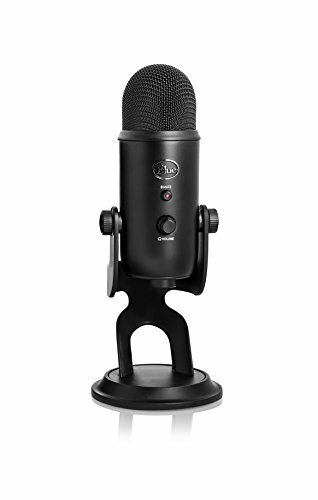 As it’s description on Amazon states: the Yeti is great for “vocals, musical instruments, podcasting, voiceovers, interviews, field recordings, conference calls” -- not necessarily gaming.You’re going to need a good amount of setup to get this high quality, and highly sensitive mic to work for your (likely) noisy gaming needs. We had this sensitivity in mind when we selected the other condenser microphones for this guide. The Seiren X is cheaper and has a built in shock absorber which should mitigate some background interference, and the Snowball iCE is at a price point low enough to buy the other accessories you need. 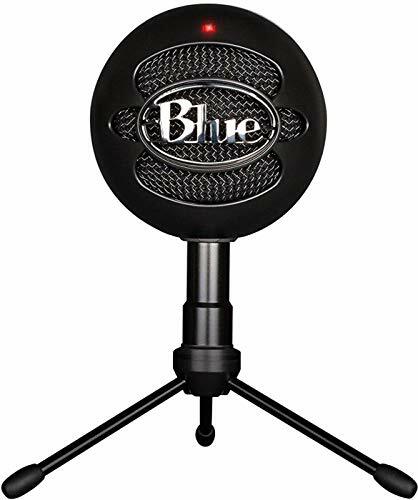 The Blue Yeti is a very good product, and is worth every penny. Just be prepared work with the mic’s positioning and environment to make it function to its fullest potential. This dynamic microphone will bring you the warmth and the cardioid pattern of a condenser if you just bring it a little closer to your mouth. Audio-Technica is a reputable brand whose products bring a lot better performance that you might expect from their price tag. This product is no exception. The ATR2100 brings you recording flexibility with both USB and XLR outputs, and a headphone jack to actively listen while you record. This microphone does come with a stand, but you’ll probably need a boom stand to comfortably game with it close to your mouth. Being a dynamic mic, the ATR2100 can only provide its excellent performance when you’re talking directly into it (about 2-3 inches maximum). This factor, along with its cardioid pickup pattern, means that all other background noise will be inaudible-- a great feature for gaming. The only drawbacks being that you will definitely need to buy a taller stand, and that dynamic mics require more power than condensers so you may have to increase the gain to pick up more dramatic vocal performance. The increased gain could contribute to a subtle background hiss; so moving closer, or bringing the mic closer to you, would be the prefered options. The solid budget option for dynamic mics. You’ll get great performance, but not quite all of the flexibility-enabling features. Sometimes you only have just so much money to spend, and no more, even when useful features are on the line. And sometimes you don’t even need those features in the first place! If you’re in either of these two boats, then this dynamic mic may be the one you’re looking for. The LyxPro is missing the bonus XLR output of the of the Audio-Technica, but that still makes it an acceptable choice for those who don’t plan on recording into an audio interface to boost their signal volume and post-production options. You still get the super-cardioid polar pattern, and you still get a stand clamp that you probably won’t use. And, with the money you save with the LynxPro you could put it towards this boom stand here. Great features, great looks, and a greater amount to pay. The Razer Seiren Elite is the Seiren X’s bigger brother. 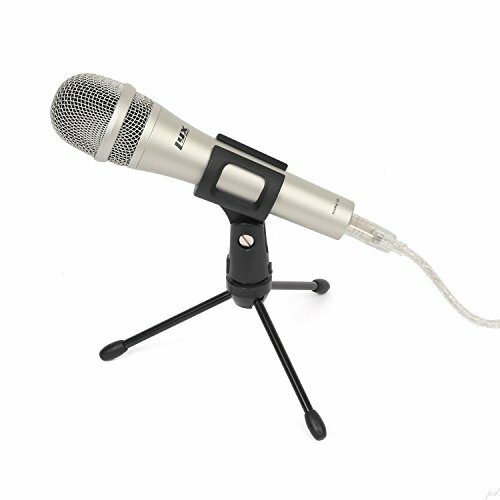 It’s packed with more features, and is now a dynamic type microphone and not a condenser. And, the same thing is true (as it was with the Seiren X) that this Razer product might be a bit overpriced for its performance, but boy is it good looking. Don’t get us wrong though, the Seiren Elite is a very nice microphone. Voices sound crisp, clear, and real, and users won’t have to struggle to avoid background noise as much thanks to the microphone being dynamic and not a condenser. A gain knob right on the mic is a feature you might not realize how much you need until you don’t have it. This is especially true with this mic as it does require a good amount of signal boosting to power its microphone. Users noted that this can contribute to an audible hiss when the Seiten Elite is at medium/high gain. Another useful feature included with this product is the built in high pass filter. On the frequency range scale, human voices are actually fairly high pitched, and this high pass filter can help to mitigate some of the unwanted lower frequency noise in the room around you; like rumbling in the desk or a subwoofer nearby. For the price, it would be nice if the Seiren Elite was built with an XLR output. The capability of plugging this mic into an audio interface or other preamp to boost the signal would keep users from cranking up the on-board gain, which would reduce background hiss. Still, the Seiren Elite offers solid performance at home or on the go without much thought, effort, or money put into accessories or the recording environment. Many professional gamers got their start with this mic and continued to use it even when they could afford something much “nicer”. This mic, along with its XLR counterpart, are one of the most frequently recommended microphones for budding streamers. The AT2020USB+ records vocals with quality that will suffice for your first 100 or first 100,000 followers; it is used by gamers, musicians and podcasters alike, and it is recommended and/or used by popular gamers such as Summit1G, DrDisRespectLIVE, Markiplier, and Ninja. The AT2020USB+ would be our best pick overall, but it’s missing a key features that makes it less gamer friendly to all gamers; casual, professional, console and PC alike. Unlike the Turtle Beach Stream Mic, the AT2020USB+ is not guaranteed to be plug and play with consoles, so a computer to record into is definitely required. In addition, the high sensitivity and lack of DSP means that you’re getting a raw recording performance. You’ll have to manage the mic’s gain, its proximity to the recorder, and background noise closely to achieve the quality performance it can provide. If you’re a gamer with a PC who wants to take their vocals to a professional level, this is the mic to go with. It has the potential to give you influencer-level sound recording as long as you have the accessories and the environment to make it work. If you know you want a condenser mic, this one is a proven YouTube subscription earner. Markiplier started out using the AT2020 above, and still recommends it today. However when he decided to upgrade, he used the Shure PGA27-LC for many years. Markiplier only recently upgraded to this (extremely pricy) badboy. 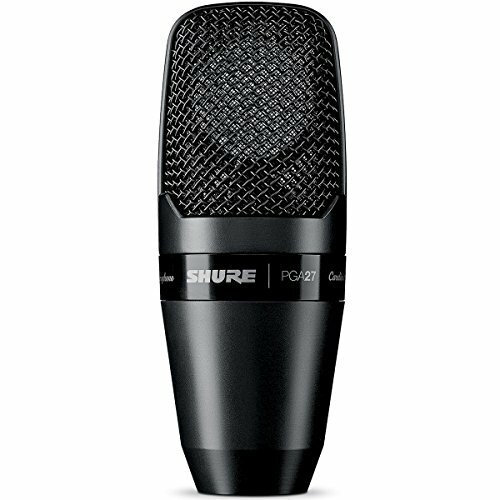 So until you hit your first 5 million subscribers, the Shure PGA27-LC should work well for you as it did for Markiplier. When you have a huge personality you need the right mic that can convey every entertaining bit of it. 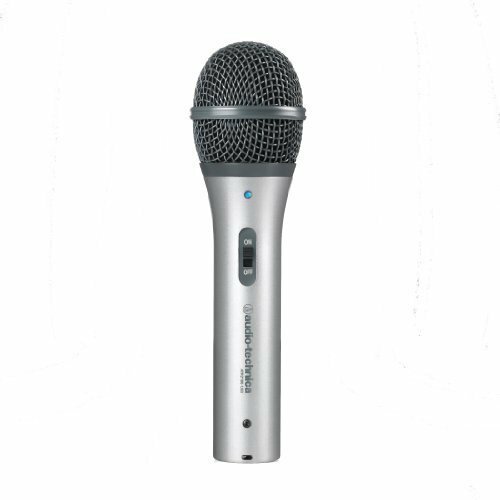 The Shure PGA27-LC has a very sensitive, large diaphragm that is able to pick up clear highs and booming lows. Its polar pattern is cardioid (perfect for recording one voice), and a high pass filter is built in. This is a mic that you’re going to want to use in a treated room, within a relatively quiet environment. You’ll need to take care to position it close to your mouth with a pop-filter, so you can reduce the gain and keep unwanted gaming noise out of the recording. The XLR output will allow you to direct a pure signal into an audio interface or a vocal processing unit to add the exact amount of noise-gate, compression, or EQ-ing you desire. 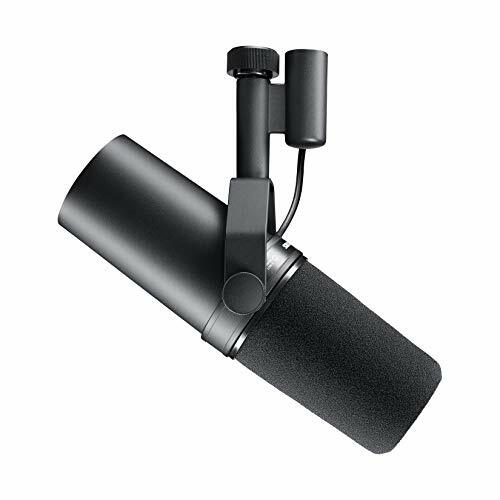 You’ll have complete control over the high quality signal recorded through this mic, so you have to thoroughly control the recording environment as well. Quite simply, if you want to get an amazing dynamic microphone, get this one. This legendary vocal mic used to be primarily used by studio musicians, but now it’s the reliable choice for wildly popular professional gaming streamers and YouTubers. Everyone from Pewdiepie to Soddapoppin, Shroud to musician Drake, use this mic for its clean and natural sound reproduction. Given that it’s professional quality and “dynamic”, this could be the perfect gaming mic; it will just require a little extra setup and money than a USB microphone. The XLR connection will be able to sufficiently power this dynamic microphone after it’s hooked up to an audio interface with decent quality preamplification. An audio interface will also give you added control over the signal as it passes into your computer, in addition to the option of adding more mics to your setup over time. You can spend less time fussing over mic placement and noise control with a dynamic microphone, and more time mashing your keyboard as hard as you want. Why Have a Dedicated Mic? If you’re looking for the absolute simplest possible option for voice recording, you should pick up a gaming headset. We have a list of the best ones right here for you. But, If you value the quality of your recorded audio, and/or your ability to manipulate that audio on PC (at the cost of a little bit more effort)-- then a dedicated gaming mic is the way to go. Here are some reasons why a separate, high-performance mic might benefit your gaming setup. The number one reason to purchase a dedicated mic is to improve the quality of your voice recording. Your personal gaming experience will benefit greatly from clear, crisp communication, and your Twitch subscription rate could too. In the case of streaming and YouTube content creation your voice is a major factor in the quality of the entertainment. Viewers are listening closely to the sound of your voice, hopefully for as long as possible, so you want to provide the kind of sound quality that’s going to have them hitting the subscribe button and not the mute button. When there’s no camera, the streamer’s voice is the only bit of personality viewers are able to grasp onto. And even when there is a camera feed, being vocally expressive is still a major part of entertaining viewers. A better quality mic will allow the speaker more range in the volume of their voice, and the quality of the tone. Communicating clearly and dynamically improves your own enjoyment as much as it can your viewers. It greatly improves the experience to be able to talk at a normal volume to someone halfway around the world like they’re right next to you in your living room. Gaming also becomes a lot more fun when you don’t have fumble with the audio settings to stop the weird screeching noise your headset is making. Even if you primarily game on console, one of the main benefits to buying a standalone mic is its ability to process high quality recordings live through a computer (for streaming), or record onto a computer for later use. Interaction with a PC allows you to edit your recordings for length or quality, add effects, or overlay them onto video for YouTube content creation. If you’re looking to upgrade beyond the limited quality of your headset mic, you probably noticed that the headphone sound quality may not be the best either. The ideal gaming setup would have great sound both in and out, which is why owning quality headphones might be a good idea. Grab any of the 3 choices in the section above to easily add quality voice recording capability to your dream headphones. This is how your mic will connect with whatever you want to plug it into. There are three main options to choose from, with USB being the most popular. This is the type of output that you see at the end of most headphones, or that you used to see in your iphone before Apple ran out of things to “innovate”. 3.5mm output (also called 1/8th inch) is capable of transmitting sound and voice (with the appropriate adapters for the situation). The downside to this output is that the quality of the analog-to-digital conversion technically lags behind that of USB (or XLR). Also, 3.5mm lacks the built in amplification that the extra voltage of a USB connection provides. Meaning that you’ll be turning up the “gain” (volume) more often, and as a result possibly dealing with background hissing or gaps in the recording when the mic is overloaded (called “clipping”). 3.5mm does not offer the Digital Signal Processing that you’ll get with USB devices, and its quality is also dependent on the jack it’s being plugged into. This is true with all devices, but it’s common for PC motherboards to have poor quality 3.5mm ports; so plugging your 3.5mm microphone into an audio interface or sound card could greatly boost its performance. The most popular dedicated recording mics these days are USB, so as a result, most of the mics in this guide connect via USB. The obvious benefit to USB connectivity is its ease of use with computers-- most of the time you don’t need to install any special drivers or software, and it’s truly plug-and-play. One of the downsides to recording through USB can be the sample rate (how “HD” the sound is as it’s digitized). Another contentious feature of USB recording is Digital Signal Processing (or DSP). The goal is to digitize the sound so it can be used on a PC, and some microphones “polish” the sound during this process, when some users might want the ability to do this “polishing” on their own. Microphones that employ DSP streamline the production of enjoyable sounding audio, but reduce user flexibility. XLR is still the standard for professional quality audio equipment. It is only in recent years that USB has been able to achieve sound processing at a quality comparable. XLR offers pure analog signal that can be plugged into audio interfaces (or other sound manipulating devices), while retaining the fidelity of its sound. Nowadays, you don’t need to have an XLR mic to achieve professional sound. But, if you want to record more than one mic at once, and want more options for audio manipulation before the sound is digitized (to ensure the highest quality possible), then XLR is the way to go. Just like how most of the mics on this list are USB, you’ll also find that most of them are also “condenser” mics as well. Why is this? USB offers an excellent way to digitize information, and it also provides a good amount of electrical power-- but not very much; not nearly as much as a stand-alone preamp or audio interface.Condenser mics are generally more sensitive, so they require less juice to power them up to an ample recording level. As mentioned above, these are the mics you usually see in recording booths-- which are padded, treated for noise reduction, and not full of keyboards clacking, dogs barking, and roommates shouting. You're definitely going to need headphones with a condenser mic, because the game sound coming through your speakers will certainly be picked up (along with everything else). Vibration can also be detected, so buying a boom stand with any condenser mic is also highly advised. Dynamic mics will also need a boom stand, but for the opposite reason. Dynamic mics are designed to only pick up sound that is directly in front of them, roughly a few inches away at most. Dynamic mics work a lot like the mic in gaming headsets. Ever see a singer turn their head away from their mic for a second, and then suddenly you can’t hear them at all? It’s because they’re using a dynamic mic. And this feature could be great for a gamer with a loud background environment. Dynamic mics are the standard for recording live musicians or public speakers who want the sound of their voice going through the mic and nothing else. The one problem, and the main reason they’re not more popular for consumer use, is that they require a good amount of power-- not ideal for a USB connection. USB dynamic mics often need to have their gain turned up significantly higher than their condenser counterparts, which can result in audible background hiss. The features of a dynamic mic are possible with USB, but are much improved when connected to an audio interface or preamp via XLR. Polar patterns describe how a given mic best picks-up the sound around it. Some mics receive sound more clearly and loudly from directly above them, some from the sides, and some from all around. Each of these patterns has their own name: Omnidirectional, Bidirectional, Subcardioid, Cardioid, Hypercardioid, Supercardioid, and Shotgun. To make sense of these linked diagrams, imagine that the mic is directly in the center of the picture, straight up in a mic stand, like this. Both dynamic and condenser microphones can have different polar patterns, but this matters more significantly with condenser mics because of their sensitivity. Most of the condenser mics you see on this list will have a cardioid pickup pattern. Some of the products in this guide will have the option of changing their pickup pattern. When deciding which mic is right for you, it’s important to imagine this pattern within the space you plan on recording in, and then imaging all the sounds other than your voice the mic could pick up. Just like speakers, microphones also have limits to how high or how low of a sound they can interpret. Frequency range is expressed in hertz, and the lower number represents it’s range of “lows”, and the higher number… well I think you get the point. Frequency range matters a bit less when you’re only planning on recording yourself speaking, because the tone of average human voice doesn’t vary or reach quite the extremes as the highs/lows of music. Instead of just buying the most popular mic on the market, or buying the one that works for most people, it’s important to consider the exact situation you’re planning on using the mic in, and what you want to get out of it. Will you be using a PC to record, or just console? Do you just want to talk to your fellow players, or are you interested in starting a Twitch channel too? It’s ok if you want to do all of these things, just choose a mic with that includes all of those options! This will allow you to listen to what your mic is recording while it’s recording it-- which is also called “active monitoring”. An extra output like this is also useful in connecting with other devices. With an adapter you could send the headphone-out signal to the 3.5mm input on your console controller! Two features you don’t realize are extremely useful until you don’t have them. Without a gain knob you’ll have to fumble around in your system or in-game sound settings to adjust this level. And as for the mute button, can you imagine a situation where you might not want your stream viewers to hear what’s going on elsewhere in your home, or maybe elsewhere in your mind that you might accidentally say out loud? Yeah, a mute button is a really handy feature to have. Sometimes you’ll want to take your gaming action on the go,and sometimes you don't want to sacrifice quality even in those circumstances. Many mics, especially condenser microphones, can be large, bulky, and heavy. If you want the easiest solution for using a dedicated microphone to record directly into your console, then get the Turtle Beach Stream Mic listed above. However, if you follow this guide, you’ll find it’s not too difficult to make the USB mic you want, work with the console of your choice. Find the section that matches your situation and go from there. Let us know in the comments if you have any questions! You’re in luck! Most USB mics seem to be plug and play! If you need to do a little tweaking you can go to the (Settings) > [Devices] > [Audio Devices] to make some adjustments. 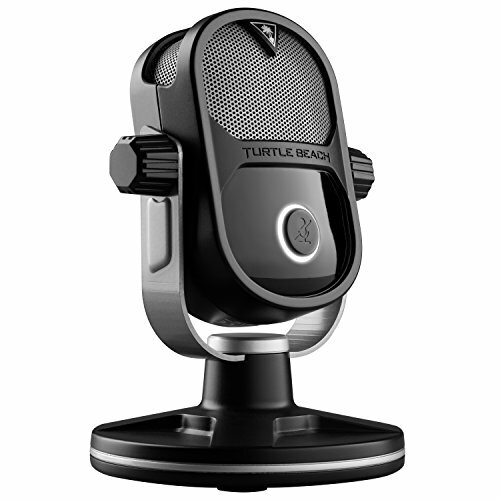 Unfortunately, the only choice right now for plug and play compatibility via USB is the Turtle Beach Stream Mic. Even though the drivers for USB mics are relatively simple and common, Microsoft does not officially support any other option. The 3.5mm jack built into your console’s controller is a great feature that can support both headphones and a dedicated mic at the same time! All you need is a “Y splitter”. This adapter has separate microphone and headphone jacks on one side, and a single 3.5mm output on the other: like this, or this! For Xbox One it’s always a bit more complicated. You’ll need the Y-splitter described above, and also the headset adapter that’s made for XB1 controllers. This adapter will give you added volume controls, game/chat balance controls, and a mic mute button too-- all of which are pretty handy. Yes this is actually possible without too much added difficulty. You’ll need a Y-splitter again, and the USB mic you’re planning on using needs to have an audio-out port. Many of the USB mics in this guide have that-- it’s used for listening to (or “monitoring”) yourself while recording. Check out the “features” sections of the product descriptions above to see if a specific mic on this list has this ability. If your mic has an audio-out port, all you’ll need is a cable to send that signal to the Y-splitter plugged into your controller (instead of to a pair of headphones like it normally would). 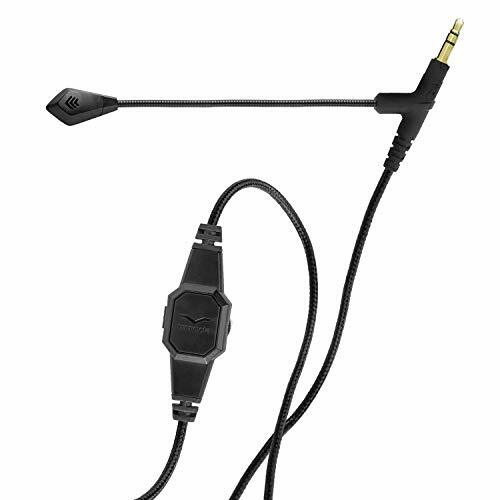 Buy an audio AUX cable like this one and plug one end into the audio out of your microphone, and one end into the microphone port of the splitter. That’s it! For XB1 you’ll follow the same steps as the PS4, but you’ll need the Xbox headset adapter plugged into your controller as well. Here is a video showing how this is possible with a Blue Yeti mic and an Xbox One controller. You could apply the same steps to any USB mic with an audio-out port, and any controller with a 3.5mm port (but without the headset adapter when using a PS4). We hope you’ve heard our advice loud and clear, and you’re now able to decide which microphone is right for your gaming needs. Be sure to consider the environment in which you plan to use the mic, and how you hope the product will serve you. The most popular mic may or may not be the right choice for your specific gaming needs. Let us know in the comments if you have any questions!